Bordering Vietnam in northeastern Laos, Hua Phan province was the military headquarters of the communist Pathet Lao during the revolutionary fight for independence. As the heart of the resistance, this distant corner played a defining role in the country’s modern history. Welcome to the birthplace of the Lao PDR. Hua Phan (also Houaphanh) could also hold the title as Laos’ most remote province. Mountainous and often shrouded in fog, Hua Phan’s isolation and ethnic diversity has given it characteristics unique for Laos. The rest of the country laughs at the local dialect and different vocabulary. For a traveller who has already spent some time in Laos, just when you thought you’ve mastered “kawp chai” (thank you), here it’s “kawp cheuh”. The favourite Lao phrase “pai sai” (where are you going) is “pai geu leuh”. The majority of travellers only find themselves here because they are transiting to/from Thanh Hoa, Vietnam, which is a shame as this province is worth visiting even if not headed to Vietnam. The capital Sam Neua (also Xam Neua), 80 kilometres from the Namsoi-Nameo border crossing, is a cluster of soulless post-war concrete buildings in a picturesque valley surrounded by rolling mountains. The town itself isn’t pretty and has a slightly gritty frontier feel but it redeems itself as a low-key place to spend a couple of nights, with adequate budget accommodation and enough to see and do in the surrounds to make the journey worthwhile for a curious traveller. For starters, the market is one of the most interesting in all of northern Laos—allot a few hours or a couple visits for taking it in. From the women patiently tweezing feathers from a chicken carcass to others deftly executing a frog per second, it’s an eye popping tableau of what’s fresh, foraged and seasonal. Look for buckets of green-yellow-brownish liquid—that’s pia, buffalo bile, a favoured ingredient for local Tai Daeng-style laab. If that or grilled bat doesn’t sound appetising, there’s plenty of other cheap (and more conventional) snacks while textile lovers can browse the handwoven silk sinhs and colourful Hmong embroidery. The usual adage with Lao markets is to go early but Sam Neua’s market bustles through the morning, and there’s another afterwork rush at 17:00. We aren’t shy in saying Sam Neua should be included on itineraries, especially if looping through northern Laos between Nong Kiaow and Phonsavan. Just bear in mind that the network of poor dirt and sealed roads and lacklustre public transport means taking things a bit slow. The Vieng Xai caves, 28 kilometres from Sam Neua (covered within our section on Vieng Xai) on the way to the border, are the main draw. Under the 1954 Geneva Agreement, the Pathet Lao (“Lao Nation”) established power in Hua Phan and Phongsali while the rest of the country remained with the Royal Lao Government. This led to a period of instability rather than peace, with the US secretly trying to undermine and influence the outcome. Defying the 1962 Geneva Agreement that declared Laos a neutral country with no foreign soldiers allowed, the US began covert operations, recruited Hmong soldiers and unleashed intense aerial bombardment campaigns in what is now known as The Secret War. From 1964 to 1975, over 20,000 people (including Pathet Lao leaders and the local population) lived, worked and ran the war effort from deep inside the limestone karst cliffs encircling the small town of Vieng Xai. Enduring relentless bombing, they survived in a hidden city that included schools, hospitals, markets and even an underground theatre for entertainment. A number of the caves are open, accessible via a chaperoned tour paired with excellent audio guide that paints a vivid picture of how they survived. This remote pocket is truly a special part of the country. The Sam Neua Tourism Office has English speaking staff and brochures for homestays, trekking, handicraft and waterfalls like Saleuy; unfortunately the majority are no longer running. The Nam Nern Night Safari, an award winning programme located in the Nam Et-Phou Louey National Protected Area, is the only opportunity for guided outdoor adventure and trekking in the province. Note that the starting point for the safari or trek is not Sam Neua, it is either Muang Hiam or Ban Son Koua on Route 6 between Nong Kiaow and Sam Neua. Tourism has dwindled and clearly isn’t Hua Phan’s main priority. Still, drop in at the office to find out the latest on any attractions. In 2018, we got the scoop they were planning to open Phou Pha Thi (Pha Thi mountain), part of the countrywide 2018 Visit Laos initiative. The ridge of Phou Pha Thi was an important strategic outpost, with landing strip LS 85 in the valley below and a radar system that by 1967, was directing more than half of the bombing operations in North Vietnam. On March 10-11, 1968, in the Battle of Phou Pha Thi (also known as the Battle of Lima Site 85), the Pathet Lao and North Vietnamese defeated the Hmong, Thai and Americans. It was the largest single ground combat loss for the US Air Force during the Vietnam War. A local showed us photos he took on an early-2018 government inspection trip: a visitor centre and stairs to a plateau were under construction for one heck of a panoramic view. We weren’t able to visit and there’s no word on when it will open—the road to gateway village Ban Houayma, 60 km west of Sam Neua, was still under construction. Adventurous travellers should keep this on the radar. Publicly, Hua Phan maintains a brotherhood with Vietnam, equal allies who fought, suffered and won. However, the relationship is far from symbiotic. Behind the scenes Vietnam is pulling the strings both politically and economically, and their gestures of funding patriotic statues, concrete parks and roads all come at a price that the impoverished rural people pay heavily for. Hua Phan bears uncanny similarities to Attapeu province in the south. Though at polar opposite ends of the country, both border Vietnam and have had their natural resources heavily exploited by Vietnam, especially illegal logging. Both have bizarre stories of building failed international airports that made sense only to the handful of individuals who would profit. Unsurprisingly, a large forest had to be cut down to make way for the project. A shining example is the scandal in 2015, when a Vietnamese-owned go-go bar opened inside the Vieng Xai caves, making headlines and causing an uproar in the conservative country; it was shut down a few days later. All these slimy tales will be at odds with what travellers will generally experience in the pokey town. You’ll find bun rieu, Vietnamese hot pot and Hanoi Beer, conical hats and hand me down Vietnamese taxis instead of tuk tuks but there’s also 27 ethnic minorities including Hmong and a spectrum of Tai groups, the tapestry of people as complex as the silk weavings the province is famous for. Overall there’s decidedly a Lao-ness to it, a quiet, lazy vibe leading a newly arrived traveller to speculate if it was also the birthplace of Lao PDR—please don’t rush. Route 6 snakes into Sam Neua and forms the main street of town before leading out towards Vieng Xai and the Namsoi-Nameo border. The main street is lined with banks and ATMs, including BCEL which offers 1,500,000 kip per withdrawal, charging a 20,000 kip fee. This road also has a few cafes and small local eats from shops and stands. The roundabout with the enormous concrete arrowhead-like structure is considered the town centre, with the main cluster of budget friendly accommodation off of it past the assembly hall. The Tourism Information Office is a block north of the roundabout, open Mon-Fri 08:00-11:00 & 13:00-16:00. In Laos it’s common for tourism offices to be funded by development organisations who create trekking programmes and attractive posters, then once they depart, the brochures collect dust and tours stop running. We have Dutch SNV to thank for the last update a decade or so ago. The Tourism Office staff do speak English and there’s a free photocopy map of Sam Neua and Vieng Xai, but trekking organised from Sam Neua has dried up. The main focus is to direct visitors to Vieng Xai caves and the Nam Nern Night Safari in the Nam Et-Phou Louey National Protected Area. Transport and border crossing info are posted both inside and outside so it’s still available when the office is shut. We noticed some inaccuracies so use it as a guideline and confirm at the bus station for the most up to date schedule. November to February can be cold with periodic warm spurts or endlessly cold, with days on end without sun. Hot-dry season is generally pleasant, with daytime temperatures more moderate than the rest of Laos and comfortable nights. The region is prone to landslides during rainy season, around June to September. WiFi is available at all accommodation. 4G is good in town. For a sensible traveller, Sam Neua is benign and relatively safe but like any Laos-Vietnam border area, there’s migrant workers, drug trafficking and seedy aspects/dangers if you go searching for it. Karaoke joints are a front for other services. After the war, a number of re-education camps were established in the region, where members of the old regime were “rehabilitated". Most camps closed down by 1989. Seeking information about these camps is not recommended as they are a taboo subject for the Laos Government at both a national and local level. The Namsoi-Nameo border is 80 km east of Sam Neua via paved Route 6; it is open to foreigners. If crossing into Vietnam, you need to already have a visa. 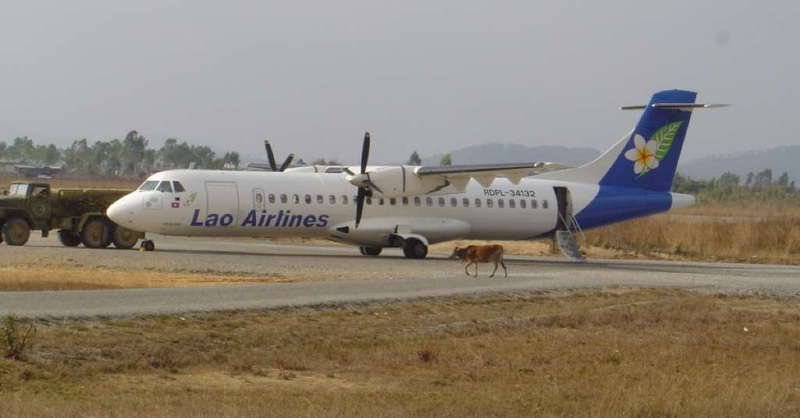 If entering Laos, a Lao visa on arrival is available for most nationals, best paid with US dollar. The border is open 7 days a week, 07:00-17:30 with a possible lunch break between 11:30-13:30. At least one bus a day departs Sam Neua for Thanh Hoa, the journey taking around 9-10 hours. In years past, the through bus to Vietnam was notorious for overcharging and shady tactics. A common scam was that foreign travellers would pay for a ticket to Hanoi and once across the border, they were put onto the inexpensive local bus or kicked off in the middle of nowhere and extorted for a lot of money in order to continue the journey. We were told that this particular bus company no longer operates the route—we’re skeptical and suggest you still keep a healthy level of skepticism for the journey too. Tickets to Thanh Hoa (Thanh Hoa: departs at 08:00, 10:00. Costs 180,000 kip and takes 9 hours.) can be purchased at Phoutanou main station; the bus will stop and pick up passengers in Vieng Xai and anywhere along Route 6 to the border. For Hanoi, change buses in Thanh Hoa, buying your own onward ticket. Though the station posts a schedule for a bus to Hanoi, in 2018 we were told that it was only available for Lao and Vietnamese nationals.  Please sign up as a Travelfish member to download the Sam Neua guide PDF (5.8 MB, 26 pages). Membership costs just A$35 per year (less than A$1 per week) and gives you access to over 250 PDF guides. Browse our independent reviews of places to stay in and around Sam Neua. Read up on where to eat on Sam Neua. Check out our listings of things to do in and around Sam Neua. Read up on how to get to Sam Neua. Planning on riding a scooter in Sam Neua? Please read this. 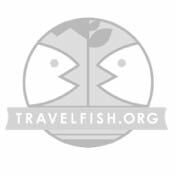 Use the above map to find specific destinations in and around Sam Neua which are listed on Travelfish. Bed icons indicate a guesthouse, hostel or hotel, the knife and fork is an eatery or bar and the four-way circular thingy marks sights, attractions and other points of interest. Click on any icon for a short pop-up and a direct link to the page for that spot. If you are in the area, use the teardrop icon near the top left to show your position on the map (you'll need to allow position sharing for this last feature to work).